As activists spread lies and misinformation about pet shops and breeders and substandard breeders ignore old laws, Pets Australia members have developed only truly national scheme to produce genuine culture change in the Pet Industry. Pets Australia is a truly democratic organisation where nothing is hidden from members. The proposed scheme is now published. Some additional information that may surprise you! 1. Activists are stopping good people owning dogs & cats in Australia! 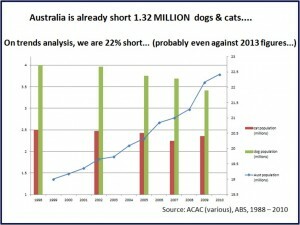 Australia’s population is growing rapidly, but dog ownership is falling almost as fast in both absolute and per capita terms. 2. The Euthanasia Figures that you have seen in media are not, and NEVER WERE, anything but misrepresentation! Don’t believe us, believe the RSPCA. 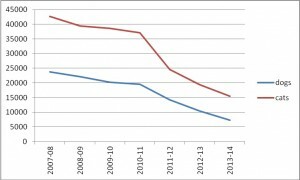 Their euthanasia figures are published every year. 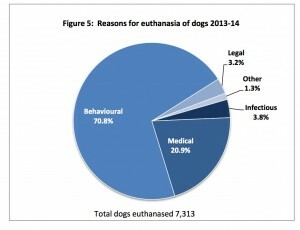 Their figures show NOT ONLY that the real rate of euthanasia is LESS THAN ONE TENTH of the numbers flouted by animal activists, but that of those animals that are actually euthanased, a whopping 92% of these animals could NEVER actually be sold to the public! They are euthanased because they have behavioural issues that, even after all the high quality behavioural training that the RSPCA can provide, these animals are too dangerous to children and animals to be rehomed. The other main reason for euthanasia is medical conditions so severe that for welfare reasons the animal should be euthanased.